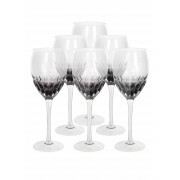 A set of six smoky lumina goblet inspired wine glasses from Newgrange Living. Each wine glass has a long stem. 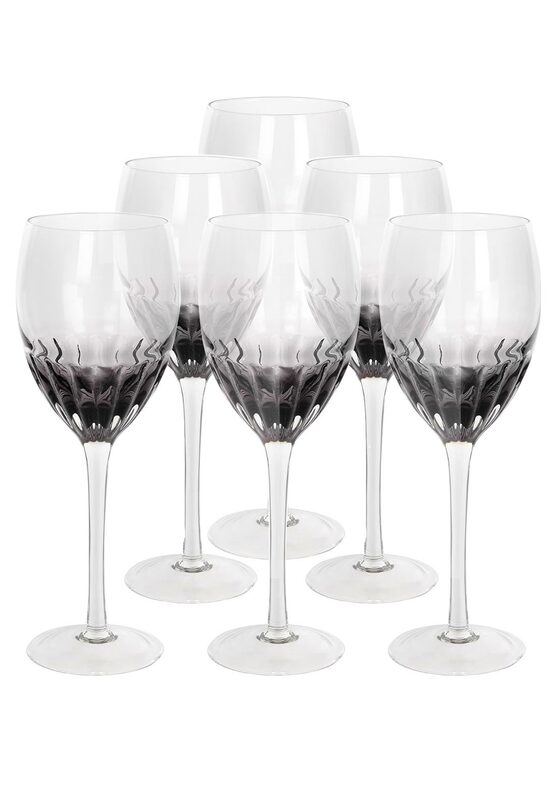 The bottom of each glass has a tint of black and a grove finish. 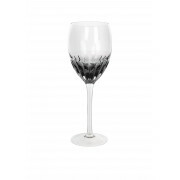 A beautiful set of wine glasses that would also make a great gift idea.